BIN: The United Kingdom has rejected a request by the Palestinians to apologize for the 1917 Balfour Declaration, which helped pave the way for the founding of the state of Israel. Opinion: You can slice and dice it anyway you want, but the Muslim nations picked the wrong side of a world war and lost their Caliphate. The two-state solution that was created: Israel for Jews – Jordan for Palestinians, will never be enough for the sons of Edom. 1. League of Nations awarded Britain mandates over Transjordan, Palestine, and Iraq. 2. League of Nations awarded France mandates over Syria and Lebanon. 3. Britain awarded the entire land of Palestine to Israel with no territorial restrictions. 4. 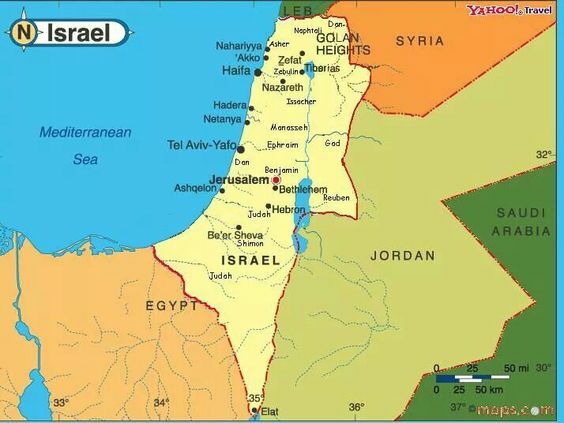 Israel was granted both sides of the Jordan River, totaling 43,075 square miles. A few months later, Britain, under pressure, altered the Balfour Declaration and took back 32,460 square miles, or 78 percent of the original land grant. 1924: That land was then given to establish Transjordan, leaving Israel approximately 9,500 square miles. Only God Himself can/will solve the problem of Edom Isaiah 63:1-3, Revelation 19:11-13.